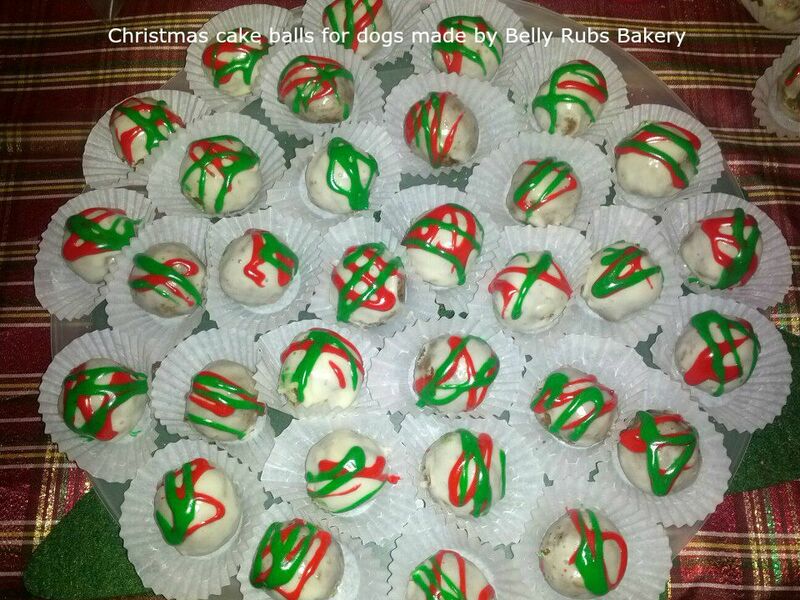 Make Christmas cake balls for dogs for a gorgeous display to celebrate Christmas with the pooches! These bite-sized Christmas dog treats are a great gift to bring to a dog lover for the holidays. The beautiful Christmas dog treats in the image below were made by the Belly Rubs Bakery, based in Capital Region, New York. The recipe below is adapted from a more involved cake recipe. 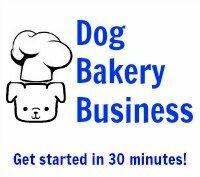 We simplified it in keeping with our dedication to offering quick and easy all natural dog cake recipes. You can add other ingredients as you desire. 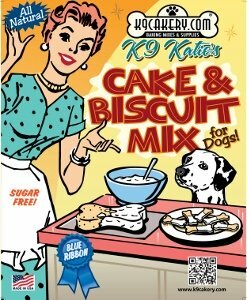 We have recipes for various flavored dog cakes on this website. Take those ingredients and incorporate them if you like! The following recipe will make peanut butter flavored Christmas cake balls for dogs. Stir cake mix, egg, water and oil in a bowl until well blended. Bake 28-30 minutes. Cake is done when a toothpick inserted into the cake center comes out clean. Take the cake out of the oven and let it cool 10-15 minutes. Take the cake out of the pan and let it cool completely on a wire rack. After the cake is cooled, crumble it into a fine texture in a large mixing bowl. If necessary, break up any large pieces with a fork or hand mixer. Stir in the peanut butter and mix well with the cake crumbs. Roll the mix into balls approximately 1/2"
Cover the balls with the plastic wrap. Then chill in the refrigerator 2-3 hours until the balls are hard and firm enough to dip in the dog treat icing. When ready for dipping the balls, mix up the Magifrost dog treat icing following the directions for making the icing consistency for dipping. Save some powder to mix for drizzling green and red icing at the end. Dip the balls into the icing and place carefully onto a piece of wax paper. Let the balls dry completely. Mix up yogurt icing powder for drizzling consistency and divide into two parts. Color one red and one green and drizzle over the balls for a Christmas look.